Local residents can bring smiles to formerly homeless women and children in Sacramento this holiday season by contributing to Women’s Empowerment’s annual Holiday Stocking Drive. The group is seeking 250 unstuffed stockings and specific fillers for local infants and toddlers, children, teens and adult women by Dec. 5. For the list of items needed: www.womens-empowerment.org. “The women and children in our program have known the coldest, loneliest holiday seasons. 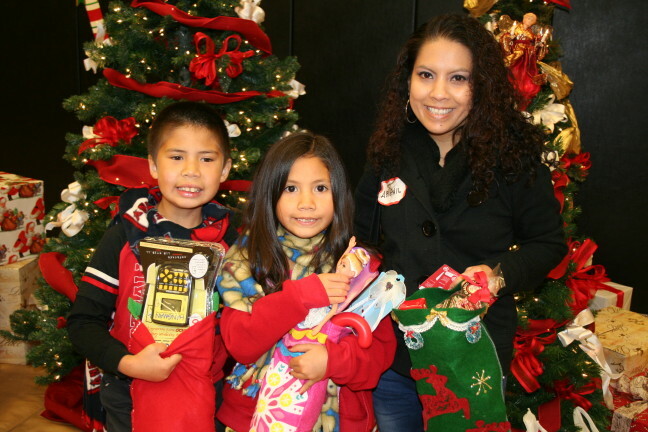 The community’s simple gift of stockings brings immeasurable joy along with warm winter accessories as they celebrate their first holiday season in a home they can call their own,” said Lisa Culp, executive director, Women’s Empowerment. Those interested also can donate $40 to have a volunteer elf fill a stocking or donate $15 Target gift cards. Items can be dropped off at 1590 North A Street in Sacramento, Monday through Friday from 8 a.m. to 5 p.m.
Women’s Empowerment was featured on NBC’s The TODAY Show in 2015 for offering the most comprehensive job-readiness program in the Sacramento area designed specifically for women who are homeless and their children. The award-winning organization has graduated 1,543 homeless women and their 3,710 children. Last year, 92 percent of graduates found homes and 77 percent found jobs or enrolled in school or training. The program combines self-esteem courses, job training, health classes and support services to help homeless women across diverse ages, races and cultures. Women’s Empowerment is funded through private donations from the community and receives no government funding except for in-kind rent from the County of Sacramento. To make a donation: www.womens-empowerment.org.